The Soothing Mist is use on body and face as refresher to moisturize dry skin and protect the skin from harmful environment. 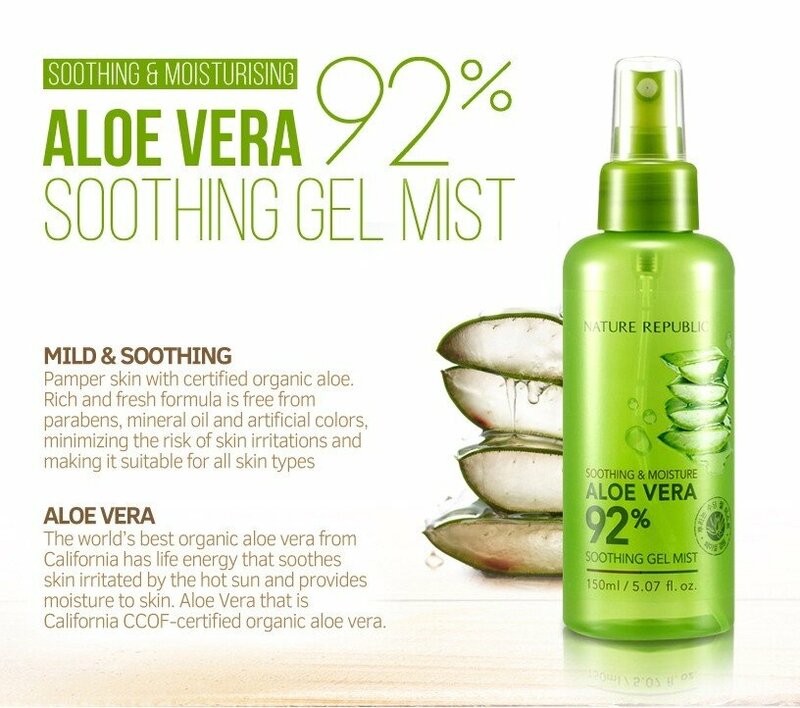 Formulated with 92% of Aloe Vera leaf extracts. When use on the face, spray 10-15cm away. Caution; For external use only and avoid contact with eyes.